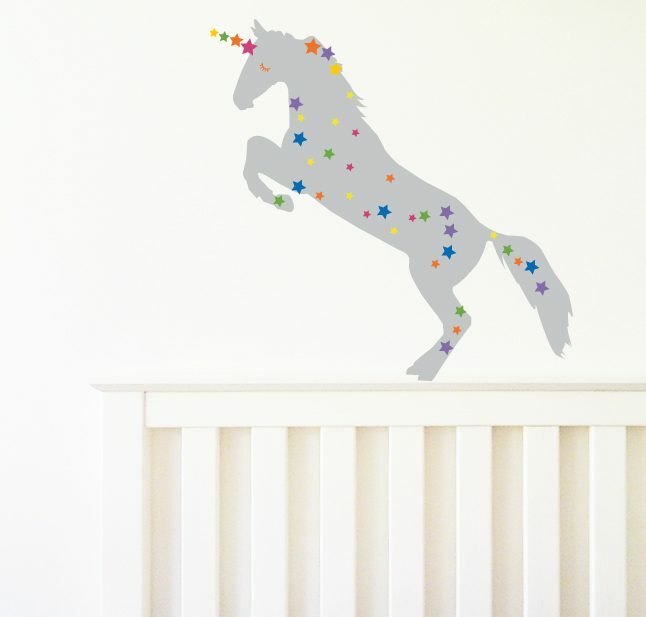 Unicorn wall sticker. 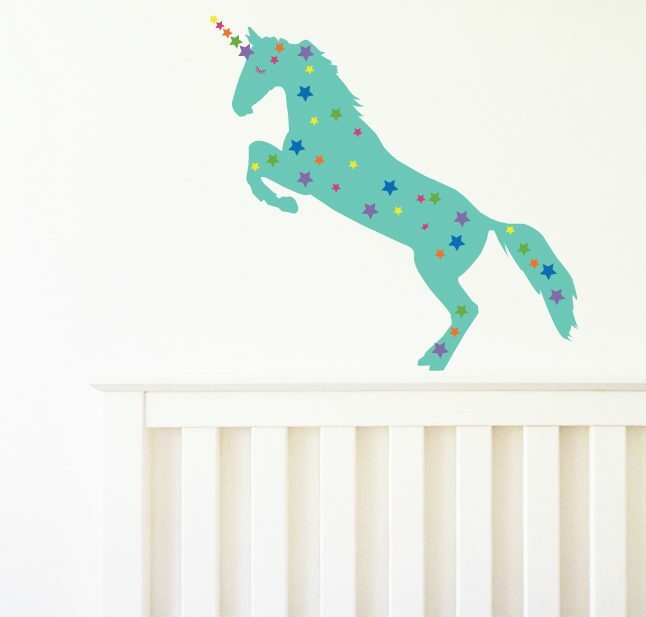 We love unicorns! 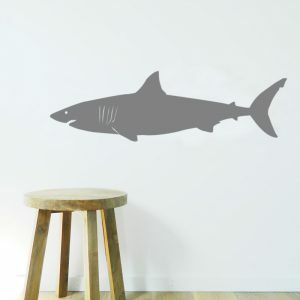 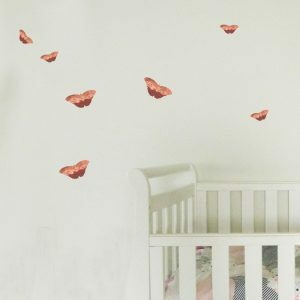 Choose your unicorn colour and then decorate it with a stars to make a unique wall decal. 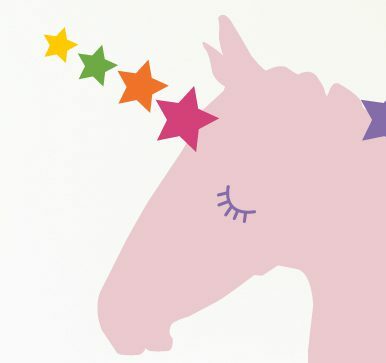 Random mixture of stars come separately so you can customise your unicorn! 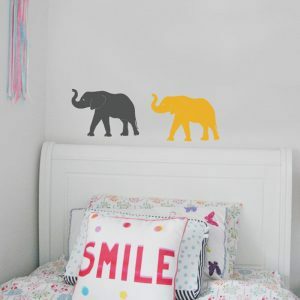 Small measures 25cm H x 17cm W. Medium measures 55cm H x 22 cm W. Large measures 1.3m H x 55cm W.